Prof. Gregory E. Webb is a palaeontologist and carbonate sedimentologist who has occupied the Dorothy Hill Chair of Palaeontology and Stratigraphy at the University of Queensland since 2011. He is the head of the Integrated Palaeoenvironmental Research Group in the School of Earth Sciences. He obtained his BSc in Geology with highest honours at the University of Oklahoma (OU-1983) followed by an MSc in Geology (OU-1984) and a PhD in Palaeontology at The University of Queensland in 1989. His research interests are clustered within the fields of carbonate petrology, reef palaeobiology, geomicrobiology, carbonate geochemistry and carbonate stratigraphy. These fields have major implications for understanding Earth history, palaeoclimatology, and mineral and energy exploration. In general, Prof. Webb's research focuses on understanding how organisms make rocks – how the biosphere interacts with the lithosphere through time - and how those rocks are preserved and how they record evidence of past environmental conditions in their geochemistry. Key impacts of Prof. Webb's research include: demonstration of the role of microbes in reef building through geological time; establishment of the value of modern and ancient microbialites as proxies for environmental geochemical signatures; application of environmental geochemistry to new coral reef samples made available through UQ's new research vessel the RV D Hill and to late Pleistocene vertebrate remains in Queensland that demonstrate recent, pre-anthropogenic changes in Queensland's climate. The integration of well dated fossil remains from both terrestrial and marine environments with high quality geochemical analysis allows specific hypotheses to be tested that provide information directly useful for testing climate models and the effects of pre-instrumental climate change and anthropogenic forcing on Australian faunas and ecosystems. Simpson, Glen A., Webb, Gregory E. and Lang, Simon (2012). Rockhampton Group. In C. G. Murray, P. R.Blake, S. B. S. Crouch, M. A. Hayward, A. D. C. Robertson and G. A.Simpson (Ed. ), Geology of the Yarrol Province, central coastal Queensland Queensland Geology 13 ed. (pp. 90-110) Brisbane, Austalia: Geological Survey of Queensland. 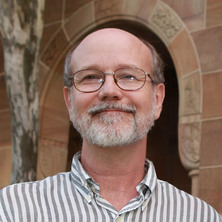 Webb, Gregory E. (2007). Lower Tournaisian microbial reefs, eastern Australia. In Emmanuelle Vennin, Markus Aretz, Frederic Boulvain and Axel Munnecke (Ed. ), Facies from Palaeozoic reefs and bioaccumulations (pp. 231-233) Paris: Muséum national d’Histoire naturelle, Paris. Webb, Gregory E. (2002). Late Devonian and Early Carboniferous reefs: depressed reef building following the middle Paleozoic collapse. In Wolfgang Kiessling, Erik Flugel and Jan Golonka (Ed. ), Phanerozoic Reef Patterns SEPM Special Publication No 72 ed. (pp. 239-269) Tulsa, OK, United States: SEPM (Society for Sedimentary Geology). Webb, Gregory E. (2001). Biologically induced carbonate precipitation in reefs through time. In George D. Stenley Jr. (Ed. ), The History and Sedimentology of Ancient Reef Systems (pp. 159-203) New York , NY, United States: Kluwer Academic/Plenum Publishers. Jones, P. J., Metcalfe, I., Engel, B. A., Playford, G., Rigby, J., Roberts, J., Turner, S. and Webb, G. E. (2000). Carboniferous palaeobiogeography of Australasia. In Palaeobiogeography of Australasian faunas and floras (pp. 259-286) Canberra: Association of Australasian Palaeontologists. Webb, Gregory E. (1996). Morphological variation and homoplasy: the challenge of Paleozoic coral systematics. In George D. Stanley Jr. (Ed. ), Paleobiology and biology of corals (pp. 135-157) Pittsburgh, PA, United States: The Paleontological Society. Earliest Mississippian rugose corals of eastern Australia: post-disaster fauna across the Devonian-Carboniferous boundary? Jell, John S. and Webb, Gregory E. (2012) Geology of Heron Island and adjacent reefs, Great Barrier Reef, Australia. Episodes, 35 1: 110-119. Nothdurft, Luke D. and Webb, Gregory E. (2012) Fusion or non fusion of coral fragments in Acropora. Geologica Belgica, 15 4: 394-400. Webb, Gregory E. and Kamber, Balz S. (2004) Biogenicity inferred from microbialite geochemistry. Microbiology Australia, 25 1: 34-35. Has the REE composition of seawater changed over geological time? Webb, G.E. and Jell, J. (2002) A new species of Palaeacis from Western Australian. Coral Research Bulletin, 7 221-227. Webb, G. E. (1999) Youngest Early Carboniferous (Late Visean) shallow-water patch reefs in eastern Australia (Rockhampton Group, Queensland): combining quantitative micro- and macro-scale data. Facies, 41 41: 111-140. Neuweiler F., Reitner J., Monty C., Feldmann M., Awramik S.M., Bourque P.-A., Cirilli S., Gautret P., Marcoux J., Plaziat J.C., Defarge C., Trichet J., Monty C., Pinckney J.L., Bertrand-Sarfati J., Moussine-Pouchkine A., Reid P., Merz-Preiss M., Labiaux S., Baud A., Thiel V., Michaelis W., Galling U., Reitner J., Neuweiler F., Macker H., Arp G., Krutschinna J., Riding R., Webb G.E., Jell J.S., Freiwald A., Mohanti M., Das S., Bergbauer M., Schumann-Kindel G., Manz W. and Szewzyk U. (1997) Biosedimentology of microbial buildups IGCP project no. 380 proceedings of 2nd meeting, Göttingen/Germany 1996. Facies, 36: 195-284. Webb, Gregory E. (1997) Middle Ordovician Tetradium microatolls and a possible bathymetric gradient in tetradiid morphology. Real Sociedad Espanola de Historia Natural. Boletin. Seccion Geologica, 92 1-4: 177-186. Stanton Jr. R.J., Lambert L.L. and Webb G.E. (1997) Positive geotropic growth in Chaetetes. Boletin - Real Sociedad Espanola de Historia Natural: Section Geologica, 92 1-4: 197-207. Was Phanerozoic reef history controlled by the distribution of non-enzymatically secreted reef carbonates (microbial carbonate and biologically induced cement)? Webb, GE (1994) Benthic Auto-Mobility in Discoid Palaeacis From the Pennsylvanian of the Ardmore Basin, Oklahoma. Journal of Paleontology, 68 2: 223-233. Webb, GE (1993) A Lower Pennsylvanian Encrusting Tabulate Coral From a Rocky Shore Environment Developed On the Mississippian-Pennsylvanian Unconformity Surface in Northwestern Arkansas. Journal of Paleontology, 67 6: 1064-1068. Webb, GE and Sutherland, PK (1993) Coral Fauna of the Imo Formation, Uppermost Chesterian, North-Central Arkansas. Journal of Paleontology, 67 2: 179-193. Webb, GE (1993) Skeletal Microstructure and Mode of Attachment in Palaeacis Species (anthozoa, Tabulata) From the Mississippian and Pennsylvanian of Northeastern Oklahoma and Northwestern Arkansas. Journal of Paleontology, 67 2: 167-178. Webb, GE (1990) A New Tabulate Coral Species From the Pitkin Formation (chesterian) of North-Central Arkansas. Journal of Paleontology, 64 4: 664-666. Webb, Gregory E. (1990) Lower Carboniferous coral fauna of the Rockhampton Group, East-Central Queensland. Memoirs of the Association of Australasian Palaeontologists, 10 1-167. Webb, GE (1987) The Coral Fauna of the Pitkin Formation (chesterian), Northeastern Oklahoma and Northwestern Arkansas. Journal of Paleontology, 61 3: 462-493. Von Blanckenburg, F, Kamber, BS, Bau, M and Webb, GE (2009). The history of open ocean seawater stable Fe isotopes from the carbonate record. In: Geochimica Et Cosmochimica Acta. 19th Annual VM Goldschmidt Conference, Davos Switzerland, (A1394-A1394). Jun 21, 2009. Aretz, M. and Webb, G. E. (2007). Western European and Eastern Australian Mississippian shallow-water reefs: A comparison. In: Theo Edward Wong, Proceedings of the XVth International Congress on Carboniferous and Permian Stratigraphy. XVth International Congress on Carboniferous and Permian Stratigraphy, Utrecht, Netherlands, (433-442). 10-16 August 2003. Nothdurft, Luke D. and Webb, Gregory E. (2007). ‘Shingle’ microstructure in scleractinian corals: A possible analogue for lamellar and microlamellar microstructure in Palaeozoic tabulate corals. In: Bernhard Hubmann and Werner E. Piller, Fossil corals and sponges: Proceedings of the 9th International Symposium on fossil Cnidaria and Porifera. 9th International Symposium on Fossil Cnidaria and Porifera, Graz, Austria, (85-99). August 3-7 2003. Van Kranendonk, MJ, Webb, GE, Kamber, B and Pirajno, F (2003). Geological setting and biogenicity of 3.45 Ga stromatolitic cherts, east Pilbara, Australia. In: Geochimica Et Cosmochimica Acta. 13th Annual VM Goldschmidt Conference, Kurashiki Japan, (A510-A510). Sep 07-12, 2003. Webb, Gregory E. and Sorauf, James E. (2001). Diagenesis and microstructure of a rugose coral (Lophophyllidium sp.) from the Buckhorn Asphalt (Upper Carboniferous) south-central Oklahoma. In: Yoichi Ezaki, Kei Mori, Tetsuo Sugiyama and James E Sorauf, Proceedings of the 8th International Symposium on Fossil Cnidaria and Porifera. 8th International Symposium on Fossil Cnidaria and Porifera, Sendai, Japan, (236-244). 12-16 September 1999. Webb, G. E., Sorauf, J. E. and Sutherland, P. K. (1999). Diagenesis of a rugose coral (Lophophyllidium) from the Upper Carboniferous (Pennsylvanian) Buckhorn Asphalt, Oklahoma, U.S.A.: Preliminary results. In: Proceedings of the 8th International Symposium on fossil Cnidaria and Porifera. 8th International Symposium on Fossil Cnidaria and Porifera, Sendai, Japan, (49-49). 12-16 September 1999. Webb, G. E. (1999). Paleogeography of eastern Australian Early Carboniferous corals and relation to the Akiyoshi coral fauna. In: Yoichi Ezaki and et al., Proceedings of the 8th International Symposium on fossil Cnidaria and Porifera. 8th International Symposium on Fossil Cnidaria and Porifera, Sendai, Japan, (105-105). 12-16 September 1999. Webb, G. E. (1999). Quantitative analysis of reef framework composition, Rockhampton Group (Late Visean, Early Carboniferous), Queensland, Australia. In: Proceedings of the 8th International Symposium on fossil Cnidaria and Porifera. 8th International Symposium on Fossil Cnidaria and Porifera, Sendai, Japan, (71-71). 12-16 September 1999. Webb, GE and Jell, JS (1997). Cryptic microbialite in subtidal reef framework and intertidal solution cavities in beachrock, Heron Reef, Great Barrier Reef, Australia: Preliminary observations. In: Facies. 2nd Meeting of the IGCP, Microbialites-Processes and Products, Gottingen Germany, (219-223). Oct 05-08, 1996. Webb, Gregory E. (1994). Non-Waulsortian Mississippian bioherms: a comparative analysis. In: A. F. Embry, B. Beauchamp and D. J. Glass, Pangea: Global Environments and Resources. Pangea Conference, Calgary, Canada, (701-712). 15-19 August 1993. Webb, Gregory E. (1984). Columella development in Lophophyllidium n. sp., and its taxonomic implications Imo Formation, latest Mississippian, northern Arkansas. In: William A. Oliver, Jr., William J. Sando, Stephen Cairns, Anthony Coates, Ian G. Macintyre, Frederick M. Bayer and James E. Sorauf, Palaeontographica Americana. Fourth International Symposium on Fossil Cnidaria, Washington, DC, United States, (509-514). August 1983. Manger, WL, Pinkley, V and Webb, GE (1984). Late Mississippian Lime Mud Mounds, Pitkin Formation, Northern Arkansas. In: Aapg Bulletin-American Association of Petroleum Geologists. , , (503-503). .